Well, most Beat Latinos are all about singing and dancing, but this one is in a special way: All the songs in this week’s edition are about just that! Songs about singing, which is just another way we share the joy that music brings us. 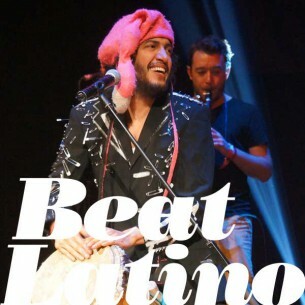 From Puerto Rican hard salsa to Colombian marimba to Cuban timba and Peruvian electronic beats, this hour of Beat Latino promises to keep you singing and dancing for a long time. Enjoy!